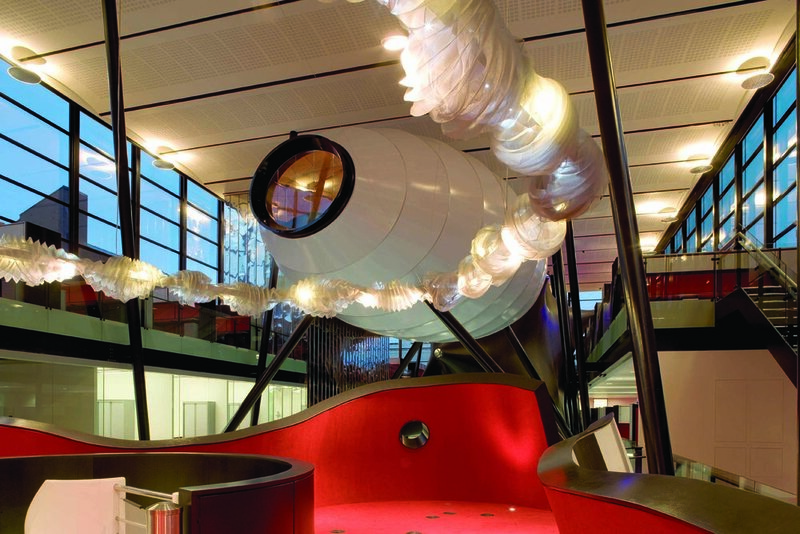 In Autumn 2000, Will Alsop was commissioned to develop a new 9,000sqm School of Medicine and Dentistry for Queen Mary, University of London, at their Whitechapel campus. The brief was to create a new environment for research staff and students which would stimulate the exchange of information between departments, physically opening up the school and engendering new clarity in its workings. Professor Mike Curtis asked that a space for public engagement be included in the design. Alsop’s response was to create a vast subterranean laboratory that is host to 400 scientists and covered by a voluminous glass box. Individual departments are housed within striking structures inspired by biological cells that are suspended and supported above the working laboratories. These forms house seminar, office and meeting rooms. Each departmental ‘Pod’ is visually unique and identifiable from outside the building through the glass facade. 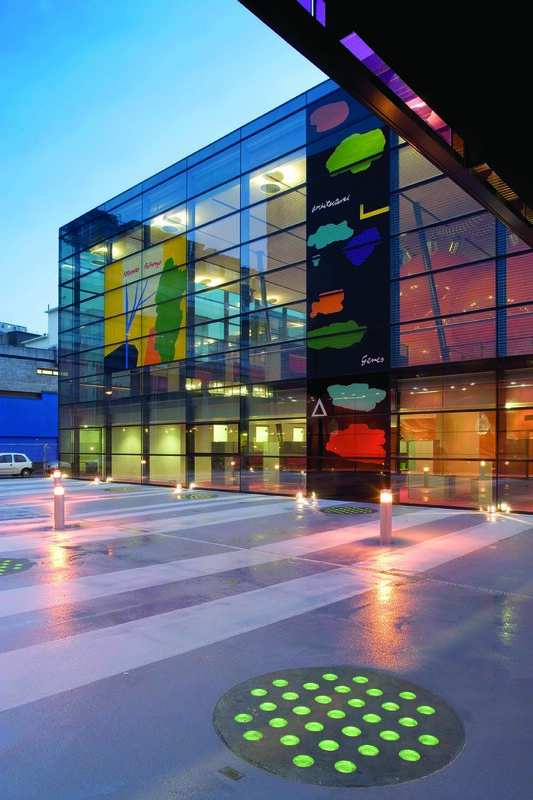 All levels and structures can be seen from the street, including lower-ground laboratories and the ‘Centre of the Cell’ Pod - a facility providing a programme of science education for children and young people. Traditional research laboratory design tends to isolate the scientific research functions. 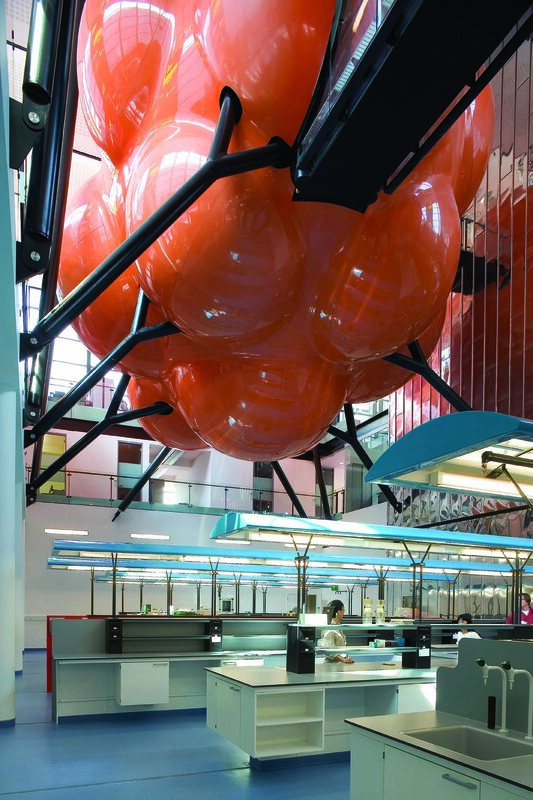 The unique interaction between research departments and public facilities at The Blizard Building was achieved through detailed consultation with representatives of user groups. The process actively engaged scientists and stakeholders in the design of the building and the aspirations of the institution.